For outstanding contributions in materials science and engineering and for leadership in advancing research and technology in physical sciences and engineering to support national security. Dr. Bhakta B. Rath is a member of the Senior Executive Service of the government of the United States. He serves as the chief administrative officer for program planning, interdisciplinary coordination, supervision and control of research of: (1) structure of matter, (2) biomolecular science and technology, (3) chemistry, (4) materials science and technology, (5) condensed matter and radiation sciences, (6) electronics science and technology (7) plasma physics and (8) computational physics and fluid dynamics. The research in his directorate is conducted by over 800 research staff, including postdoctoral fellows, visiting professors, and university students, with a budget in excess of $260 M. He also supervises three field detachment laboratories: (1) Laboratory for Navy Center for Safety and Survivability, Chesapeake Beach, MD (2) ex-USS Shadwell, Mobile, AL and (3) Laboratory for Marine Corrosion, Key West, FL. Dr. Rath was born in Banki, India. He received a B.S. degree in physics and mathematics from Utkal University, an M.S. in metallurgical engineering from Michigan Technological University, and a Ph.D. from the Illinois Institute of Technology. Dr. Rath was Assistant Professor of Metallurgy and Materials Science at Washington State University from 1961 to 1965. From 1965 to 1972, he was with the staff of the Edgar C. Bain Laboratory for fundamental research of the U.S. Steel Corporation. From 1972 to 1976, he headed the Metal Physics Research Group of the McDonnell Douglas Research Laboratories in St. Louis, Missouri, until he came to NRL as Head of the Physical Metallurgy Branch. During this period, he was adjunct professor at Carnegie Mellon University, the University of Maryland, and the Colorado School of Mines. Dr. Rath served as Superintendent of the Materials Science and Technology Division from 1982 to 1986, when he was appointed to his present position. In his current position at NRL, the corporate laboratory of the US Navy, he serves as the Head of the Materials Science and Component Technology Directorate and Associate Director of Research. As Head of the Directorate, he is responsible for planning, supervision, and administration of all basic and applied research in structure of matter, condensed matter physics, chemistry, electronics, materials science, plasma physics, computational physics, fluid dynamics, and biomolecular science and technology conducted by a staff of 720 scientists, engineers, support personnel, post doctoral fellows, and visiting professors and students. The Directorate manages over 300 research projects covering a wide spectrum of basic and advanced applied research in physical and natural sciences. Dr. Rath is recognized in the fields of solid-state transformations, grain boundary migrations, and structure-property relationships in metallic systems. He has published nearly 200 papers in these fields and organized more than thirty international conferences and edited over twenty published conference proceedings. Dr. Rath serves on several planning, review, selection committees, overseer and advisory boards for both the Navy and the Department of Defense, as well as for the National Research Council, the National Academy of Engineering, the National Materials Advisory Board of the National Academy of Sciences, National Science Foundation, Carnegie-Mellon University, University of Virginia, Colorado School of Mines, University of Maryland, University of Connecticut, Florida Atlantic University, Lehigh University, the Illinois Institute of Technology, the University of Wisconsin (Milwaukee) and the University of Florida. He serves as the chairman of the Technology Advisory Board of the International Advanced Research Center (ARCI) in Hyderabad, Distinguished Visiting Professor, IIT-Bhubaneswar and is the principal advisor to the Advanced Materials Research Center (CEAMR) in Bhubaneswar, India. He is currently the Navy representative to the DOE Deputy Assistant Secretary's advisory and planning committee on methane hydrates, and has served as the Navy representative to the Indo- U.S. Joint Commission on Science and Technology. 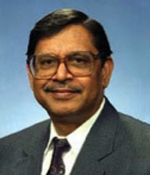 During his tenure, he was an active member of the Indo- US S&T Initiative (supported by PL480 funds) and structured and supported over 70 collaborative research projects conducted at premiere institutions in both countries, along with over twenty workshops, the proceedings of which were published by Indian publishing houses and over 700 archival publications. During this period (1984 to 2002) over 200 leading scientists visited the collaborating US institutions with an equal number of reciprocal visits of prominent US scientists. He also served as the Navy representative and as the Executive Chair, materials group of The Technical Cooperation Program (TTCP) countries (US, UK, Australia, Canada and New Zealand). Dr. Rath is a member of the National Academy of Engineering, a fellow of the Indian National Academy of Engineering and an honorary member of the Indian Institute of Metals. He has been elected as a fellow of several technical societies including The Minerals, Metals and Materials Society (TMS), American Society for Materials- International (ASM), Washington Academy of Sciences, Materials Research Society of India, the American Association for the Advancement of Science (AAAS) and the Institute of Materials of the United Kingdom. In 2007, Dr. Rath received an honorary doctorate in engineering from the Michigan Technological University and was elected to deliver the commencement address to the graduating class. In 2008, he received the Illinois Institute of Technology Mechanical Materials & Aerospace Engineering Department 2008 Alumni Recognition Award. In 2010, he received a doctorate of science honoris causa from Ravenshaw University in Orissa, India. Dr. Rath has received a number of honors and awards, most recently the Michigan Tech Alumni Association Distinguished Alumni Award. His other awards include the Padma Bhushan Award of Honors and Excellence (the second highest Padma award) bestowed by the President of India, the Acta Materialia J. Herbert Hollomon Award, the DOD Distinguished Civilian Service Award which is presented by the Secretary of Defense for distinguished accomplishments and sustained superior service, the 2005 Fred Saalfeld Award for Outstanding Lifetime Achievement in Science, the Presidential Rank Award for Distinguished Executive (2005), the NRL Lifetime Achievement Award (2004), National Materials Advancement Award from the Federation of Materials Societies (2001), the Presidential Rank of Meritorious Executive Award (1999 and 2004), the S. Chandrasekhar Award and Medal, and the Award of Merit for Group Achievement from the Chief of Naval Research. He received the 1991 George Kimball Burgess Memorial Award, the Charles S. Barrett Medal, and the prestigious TMS Leadership Award for his contributions to Materials Research. The American Society for Materials International and The Metals, Minerals, and Materials Society have jointly recognized him with the TMS/ASM Joint Distinguished Lectureship in Materials & Society Award and the 2001 ASM Distinguished Life Membership Award. He has served as the 2004-2005 President of the American Society for Materials. He also has served as a member of the Boards of Directors/Trustees of TMS, ASM-International, Education Foundation, the Federation of Materials Society (FMS), as a member of the editorial boards of three international materials research journals, and as chairman of several committees of Technical Societies. Michigan Technological University has established the Bhakta B. Rath Research Award for the best doctoral thesis in science and engineering and, after his donation of rare technical books, the Colorado School of Mines has established a departmental library in his name.